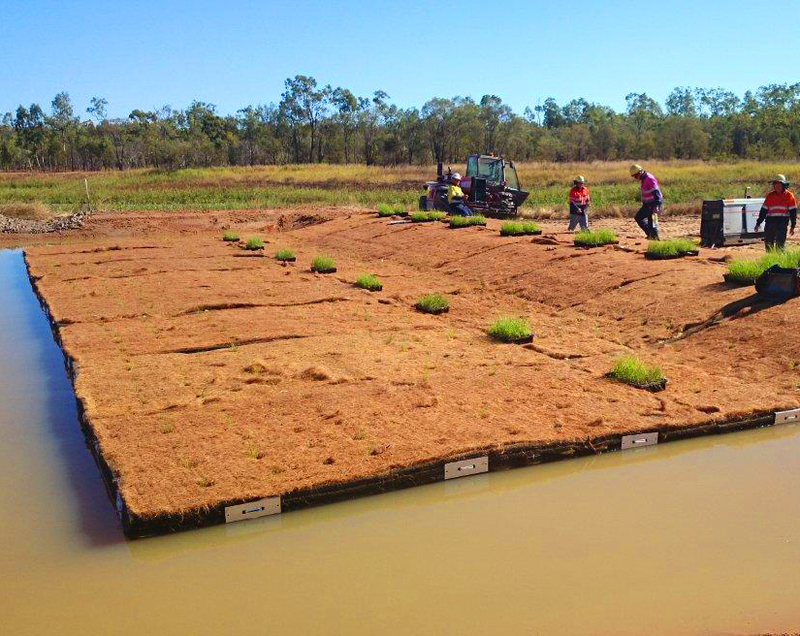 One of the most useful things about our floating Treatment Wetlands is how you can install it into existing forebays and in bioretention ponds. So keep your existing facility while improving the treatment capacity – and without taking on any significant costs or overheads. No additional land resource required: Floating Treatment Media can be retrofitted to your existing asset. Stormwater carries pollutants like suspended solids, heavy metals and petroleum hydrocarbons. If untreated, these pollutants flow into our waterways and harbours. Floating Treatment Media leverages what already happens in nature. We construct a base for plants to grow. The plant roots grow through the water column and biofilm forms providing an ideal home for pollutant-digesting microbes and bacteria. When a storm comes, water flows through the roots and the suspended solids, like clay, are captured; the microbes and bacteria then get busy consuming and sequestering the pollutants. 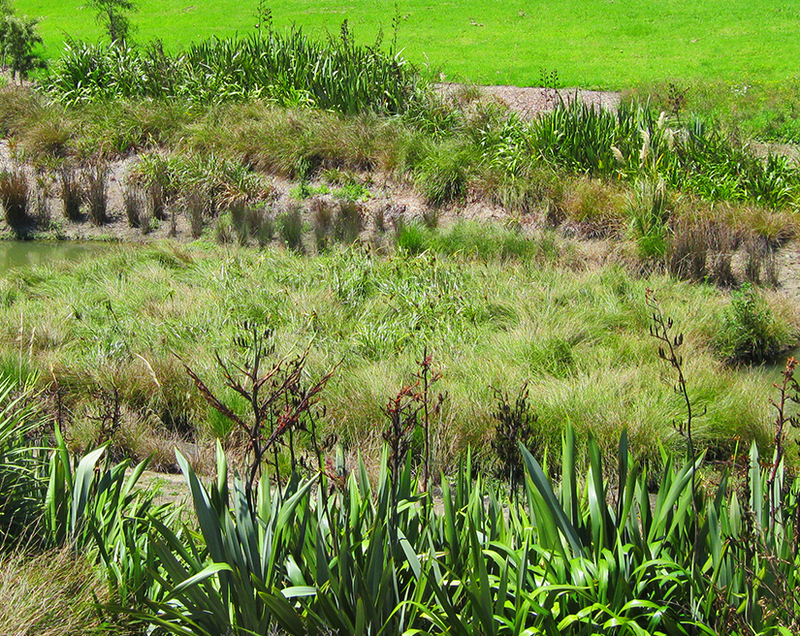 The Bayside Reserve project won a Bronze Award in the Landscape Design – Rural/Park/Recreational Category of the New Zealand Institute of Landscape Architects’ 2010 Resene Pride of Place Awards.